Online hands-on lecture and demonstration covering the essentials of programming autonomous tasks for VEX robots. Learn the basic components of successful autonomy algorithms and how to use VEX sensors with various control techniques to localize your robot, identify map features and track objects of interest. NOTE: This event will be broadcasted online (streaming details will be released by email as the date approaches), and the materials covered (presentation and files) will be made available to all registrants after the event. 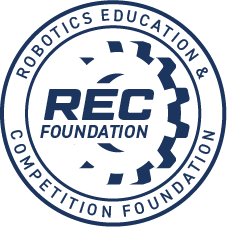 All VEX students and teachers interested in autonomous robot programming (VRC, VEX IQ, VEX U). The material will contain a conceptual explanation of many autonomous tasks and algorithm overviews, along with code examples and simulations. Tasks will be demonstrated in a virtual environment using Simulink, and example C/C++ code implementations will be provided. There will be an emphasis on explaining PID controllers and state-machines for robotics applications.